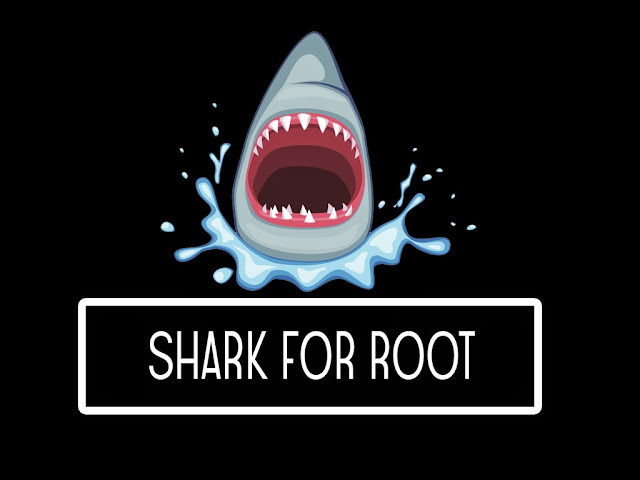 Shark For Root is an android version of wireshark for security experts and hackers. It is basically a traffic sniffer which works on WiFi, 3G and FroYo tethered mode. The app is based on tcpdump, so you can use tcpdump commands on this android version. Your android device must be rooted (have root access) to use this app. First enter the parameters (default parameter: -vv -s 0), then tap on "start" button. The default parameters gives the entire packet (verbose capture). 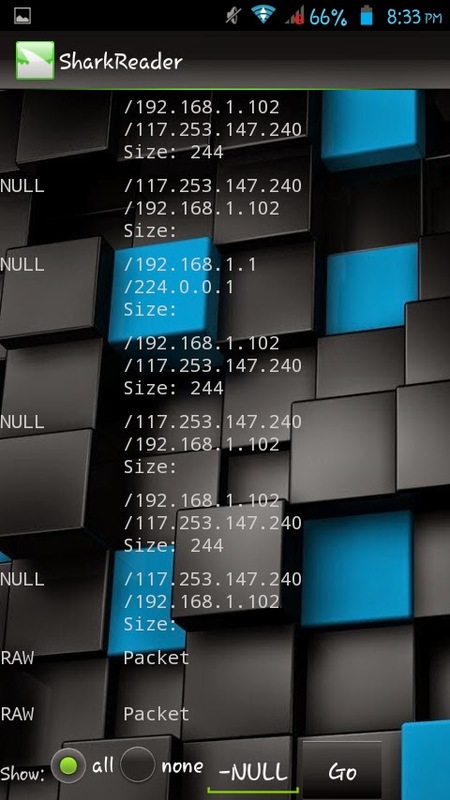 Tap on "stop" button, if you want to stop capturing packets. 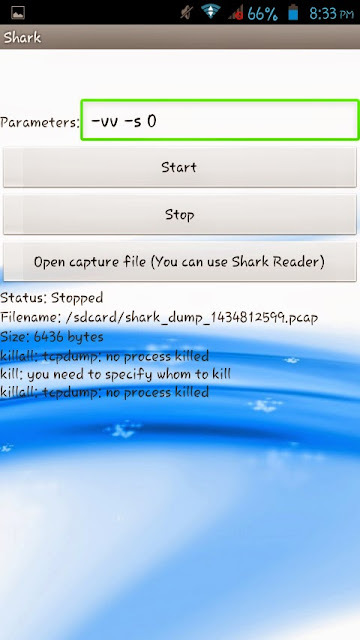 To view the captured packets, you should install shark reader app on your android device.